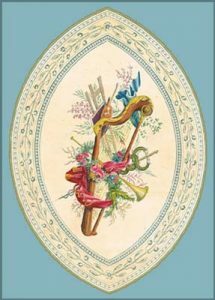 Officially launched in fall 2003, HARPIANA Publications has now accumulated enough titles to offer something of interest to every (pedal) harpist. If you play lever harp, please note that your needs will be addressed in the future, too. A new century is always a time for reassessment and renewal: we are so comfortable with the known yet perceive simultaneously that there was, is and always will be more to explore…Has the verdict of History ever been correct? Why did some repertoire disappear from our consciousness while other works have been performed ad nauseam in the fear that nothing else would rise to their level? In other branches of music such as the symphonic realm, works by “lesser composers” (of course, as compared to Beethoven) have been brought back to solid acclaim, their mutual influence and links to the Masters duly acknowledged. Can the harp world then, gathered around an instrument for which relatively few “masterworks” have been composed, afford to keep only a partial view of its own background? Each title included in this catalogue, whether newly published, republished or transcribed, presents one facet of an answer. Because the underlying inquiry into the idiom and the literature of the harp must address whole bodies of work in connection with their social and cultural contexts, a historical introduction is provided every time. Should the idea of transcription still make you uneasy, remember that J.S. Bach was the greatest transcriber of all! His ingenious elaborations on the works of his predecessors and contemporaries allowed him to assimilate every musical thought that ever bloomed within his reach. We are obviously the richer for his encyclopedic efforts. In comparison, the monuments left behind by the master transcriber of the romantic era, Franz Liszt, are only now gaining lasting recognition, from Beethoven symphonies to Schubert Lieder recreated with the most faithful spirit for the solo or 4-hand piano. This again demonstrates that musical creations can easily survive a change of medium when their substance is genuinely portrayed. Together, let’s push back our musical frontiers and enjoy a treasure trove of music that asks for an investment of sentiments on top of the mental challenge. Let’s look at the phrases on the paper as if they were aspects of human diversity that we truly wish to possess. Many more compositions are already under consideration for future publication. Your input will be valuable at any time and on any subject, because this is all about infusing the notes with the passions of the living.